history of company: The company was named after the Lupin flower because of the inherent qualities of the flower and what it personifies and stands for. The Lupin flower is known to nourish the land, the very soil it grows in. 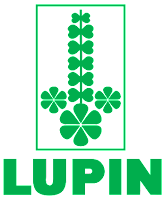 The Lupin flower is also known to be tolerant of infertile soils and capable of pioneering change in barren and poor climes. The Lupin flower and bean pods have also long been used as food and sources of nourishment, thus protecting and nurturing life.